Cancun is a world renowned tourist destination, located on the MesoAmerican reef system – second largest coral reef in the world. 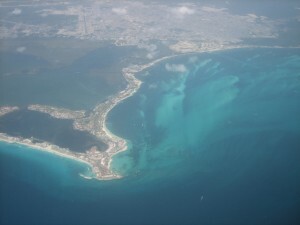 The sustainability of Cancun and the reefs are in danger, and research and monitoring are urgently needed to inform and support conservation and management efforts. In order to coordinate these and other efforts, I am creating a SUSTAINABILITY RESEARCH CENTER to draw together scientific and cultural projects, promoting Cancun as a natural wonder and model of sustainability for the world. The Center will bring together people internationally to explore solutions for maintaining the viability of coastal ecosystems, and develop sustainable residential and tourism strategies for the future. Uniquely situated at top of Mesomerican Reef, second largest coral reef in the world!